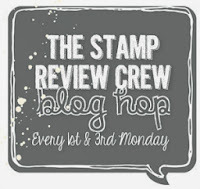 Welcome to another The Stamp Review Crew Hop!! We are a group of Stampin' Up! Demonstrators who will be bringing you lots of ideas for one particular stamp set twice a month!! The 1st and 3rd Monday of each month, you can hop along from one blog to the next gathering all kinds of inspiration for one Stampin' Up! stamp set. Please note the blog hop doesn't officially start until Monday May 7, 2018 so some of the links may not work. We are featuring the Pop of Paradise Stamp Set (W) item #141578 or (C) item #141581 from the Annual Stampin' Up! Catalog on page 42! This set is available in Wood Mount or Clear Mount. The Pop of Paradise Stamp Set has been very fun stamp set to create with. This stamp set is retiring this year so you'll want to order it soon before it's gone. I am giving you a sneak peek of the new In Colors and two of my favorite new greens!! This year's In Colors are beautiful, however I am not a huge fan of bright colors I am more of an earth tone gal but WOW they actually are awesome to work with and perfect for this set too. Lots of layers to this baby and why yes all those leaves and flamingo were cut out by hand thanks to my awesome husband ;) I also used some other new items that will be in the new catalog. I sure am gonna miss this set. Now you'll want to head on over to Adriana's BLOG and see what fabulous creation she has made to share with you all!